1. How do I register for the event?Registration opens at 9 PM EST on November 18, 2015. Past attendees to any Crop & Create event can register on Alumni evening at 9 PM EST on November 17th. Just click here to register. It’s fast and easy! A confirmation email will be sent to you within 72 hours of registration. 2. What does the event schedule look like? 3. What is included in the cost of the event? The crop area will have 6 ft rectangular tables and each person will have 3ft of cropping space! Also included is a delicious dessert buffet on Saturday evening and a gourmet lunch (and treats!) on Saturday and Sunday! We’ll also have some special treats throughout the event too! On Saturday evening we will have free make n’ takes for everyone and a meet and greet with all the teachers. Did we mention there will also be an amazing goody bag for you to take home? A beautiful exclusive kit designed just for you! And did we mention lots of prizes? And lots more prizes? Our sponsors have outdone themselves just for YOU! 4. How do I register at the event? On-site registration at the event will open at 8:00 am Saturday, April 16 and doors will open at that time. We will have a very smooth and quick registration process. Opening announcements will be at 8:30 a.m. Saturday so we hope you can join us for those! We will have a full team introduction at 12:45 before we break for lunch on Saturday! 5. What form of payments do you accept? All payments will be made through Paypal which is a safe and secure payment portal. If you would like to send a cheque you are welcome to do so however we cannot confirm registration at the event or for any classes until the cheque has cleared. 6. What is the cost of parking at the event? The Ramada Plaza & Conference Centre offers complimentary onsite parking for Crop & Create attendees. 8. How many people would be in each class? 9. Who is running the classes? 11. Is the event accessible for those with special needs? Absolutely! We chose the Ramada Plaza & Conference Centre for that purpose. The main crop area, classroom and hotel rooms are all wheelchair accessible and we will make every effort to deal with any special dietary requirements. 12. What hotel accommodations are available for the event? We have secured a certain number of discounted rooms at the Ramada Plaza & Conference Centre for those who wish to stay on the event premises and the Ramada has provided us with an amazing rate of only $109 per night (plus taxes). You may wish to reserve your room as soon as possible to take advantage of these discounted room rates. Reservations must be made by phone direct at 604-870-1050 or toll free at 1-888-411-1070. Guests can quote the booking number “6756” or simply “Scrapbook and Cards”. 13. Will there be food concession available? We have planned a delicious lunch on Saturday and Sunday and an evening dessert buffet on Saturday for all our attendees. There are several restaurants at and around the Ramada Plaza & Conference Centre too! 14. What supplies are provided? What should I bring? The class supply lists can be found on the class information pages along with the sneak peeks. If you need additional clarification, please don’t hesitate to let us know! We also offer many shared supplies so that you don’t have to bring too much with you! 15. Will there be a Marketplace? Yes! We will have two on-site stores in Abbotsford! 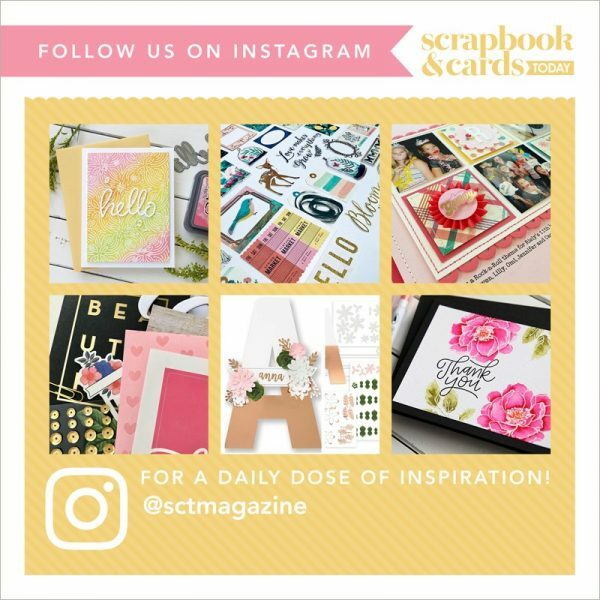 Our friends from Memory Workshop Scrapbook Co. and a second store to be announced will be joining us with an amazing selection of products! If you have any additional questions, please contact us anytime at jen@scrapbookandcards.com or by telephone at (416) 855-9637. We are only too happy to help!